If I am asked to invest in projects for organizations other than the above, my answer is almost always “no”, because I would need to re-assess time and energy priorities. But top priority for me is the last half of the first goal listed; … to learn from and amplify their first person perspectives about dementia. Fourth goal listed is “CREATE, curate and post free person-centered dementia support resource materials online”, which is excellent goal. But to me the third important element which differentiates this organization is their definition of “person-centered“, … to include holistic emotional, social, physical, cultural, sexual and spiritual dimensions. DAA puts priority on amplifying voice of PWD (Persons With Dementia), and that is a very high priority in my own life, and in my project of “Dementia Symptom Perspectives”. I am a work-a-holic, and I come from a long line of work-a-holics. Before joining the DAA Advisory Council, I had averaged about 150 hours per month in my “work” gathering and preparing Dementia Symptom Perspectives NewsLetter … along with my daily activities for dementia mentors. That may not sound like huge investment to some, but considering the extra hours consumed by daily tasks with complications from dementia symptoms, my family was demanding I make a change. Dementia symptoms were also complicating my abilities to complete the NewsLetter tasks, demanding greater and greater time investment until at last the NewsLetter was months out of date, and I recognized that I no longer had the ability to complete even that last issue. I must drop the newsletter project WITHOUT a last issue. At the same time in my life, early to mid 2016, opportunity at DAA arose. It looked like there was a good chance I could share perspectives of those with dementia symptoms even more effectively as a member of the DAA Advisory Council, than I had been with the NewsLetter, so I was very happy to accept the position. I am still spending hours gathering listings of projects from PWD Persons With Dementia, but no longer try to compile them into the NewsLetter, since I have lost those abilities. Now I simply add them on my matrix, and try to share one project daily on Dementia Symptom Perspectives’ page in FaceBook. From time to time organizations ask me to reference my matrix for an entry on topic they are looking for, and I spent about 20hrs at the end of year, re-organizing matrix to make it easier to access. I am trying to figure out an efficient way to share the information. During 2016 I did not keep up nearly as well with gathering projects, but in 2017 it has returned to higher in priorities. Meanwhile I am investing in DAA projects to “amplify” perspectives from PWD. This mission is well-reflected in past and current projects for the non-profit organization. Past projects (some of which I participated in) are detailed at this Link >> http://daanow.org/accomplishments/. 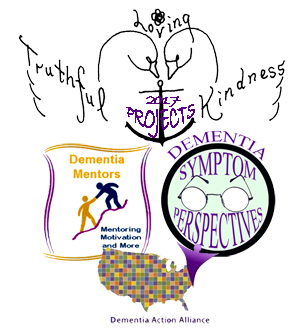 … And of course one of the primary current projects is the “Re-Imagine Life with Dementia” Conference being planned for June in Atlanta. Link>> http://daanow.org/north-american-dementia-conference-technology-showcase/ . At this time, 55% of the sessions include individuals living with dementia as a speaker, and WE (I am one of the speakers) will have profound information to share. Personally, I will share a time slot with my friend, Laurie Scherrer, speaking on the compensation strategies we each use to live our best moments every moment of every day. And the new Caring Conversation Toolkit (Link)>>http://daanow.org/product/daa-dementia-toolkit/ is now for sale. Toolkit has booklet for Person With Dementia, handbook for family & friends, Conversation cards, and inspiring video. Each of these elements is also sold as stand-alone product (check bottom of page). This series of products have just come out, and I am awaiting delivery of my own Toolkit (( smile )). Caring Conversation Toolkit above is a product with a price tag, but anyone can watch the finished video project “Person-Centered Matters” (both 7-minute and full 16-minute videos) here >> http://daanow.org/an-extraordinary-video-about-dementia/ . All-in-all, I think the past and current projects admirably reflect mission, vision, and goals of DAA Dementia Action Alliance. There are several levels of participation available with DAA. Of course, money donations are always helpful, but personal involvement for Person With Dementia could be in the responsibility of Advisory Council (Link)>> http://daanow.org/advisory-council/ if there is a current opening, or as Consulting Partner (Link)>> http://daanow.org/daa-partners/ , or simply participation in one of the work groups (Link)>> http://daanow.org/daa-workgroups/ . All positions are deeply appreciated and have great input in achieving the goals above. * Admin issues: SHARE dementia awareness thru buttons below. Feel free to leave your thoughts in the form of comments, but please filter your comments with truthful loving kindness to all concerned. If interested in receiving notice of future blog postings, subscriptions are available through a “follow” button in the upper left corner (MS Explorer) or lower right (Safari, Mozilla Firefox and Chrome). If there is an advertisement below, I have no control over what is shown. My own full legal name is Truthful Loving Kindness. With the new terminology my current diagnosis is Mild Cognitive Impairment, but my neurologist said I am in a unique position for helping because I have “one foot in each door”. Copyright 2017-02/01 with 6 hrs invested in text. Tags are dementia, DAA, Dementia Action Alliance, PWD, Person-Centered. 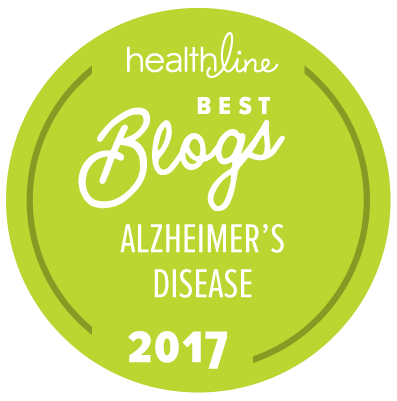 This entry was posted in Important, Journal, Reviews and tagged DAA, dementia, Dementia Action Alliance, person-centered, PLwD. Bookmark the permalink.